I have a WD My Cloud EX2 Ultra and am really interested in using the Resilio Sync solution. I have installed the app as suggested on Resilio’s website, but when trying to add a folder to sync from the configuration, Resilio does not suggest any of the folders on the NAS, and displays a permission error message. Am I doing something wrong? Could you help with a small installation guide? Thanks so much for your help! I'm sorry, I am a total beginner with NAS's. The user under which Sync runs doesn't have rights of the folder that you tried to add doesn't have enough permissions. 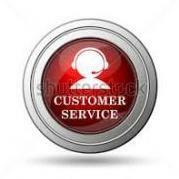 Contact support team and they will help you to troubleshoot the issue.